In the dark, our crews of six bobbed like stray lobster pot markers in a five-foot swell a half mile off the shore of the barrier island where we camped. The waves were whipped up by a strong wind moving westward along the Straits of Florida, 90 miles north of the Cuban shoreline. We wore masks and fins, and carried diving lights but the wind and strong current stirred the sand along the reef and cut visibility underwater to about a foot. Nearby, the Polynesian-style war canoes we’d muscled out from its mooring rolled in the waves. To the east, a thunderstorm rumbled toward us and lightning lit the foaming horizon. 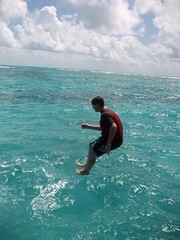 No sharks…yet. A more unlikely scenario for our intrepid group of 12 from Troop 353 would be difficult to concoct. Yet there we were, wave-tossed and in something approaching peril at sea – and by our own choice at that. And it had already been a long, busy day. 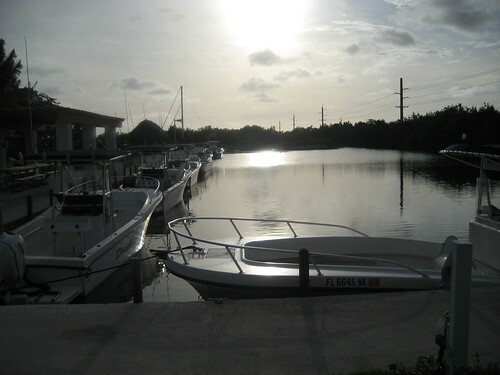 We awoke at dawn, waded to the docks and caught 22-foot Dusky outboard sportfishing boats. 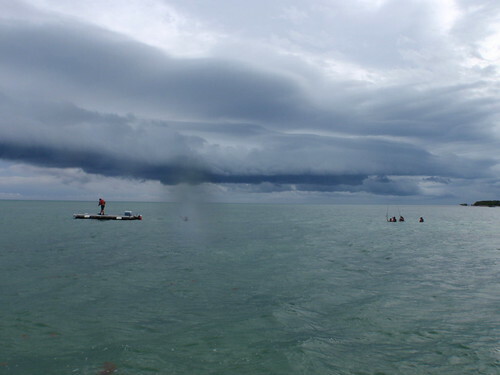 One of our crews headed offshore and into the five- and six-foot-swells stilled churned up past the reefs by the remnants of that soaker tropical storm. The other crew took off for the channels and inlets closer in. Our goal: catch dinner. 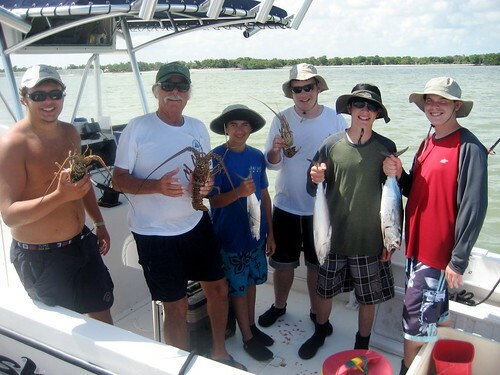 Both boats accomplished the task during a long day of fishing – pulling in tuna, grouper, mackerel, and a couple of spiny rock lobsters we spent hours diving for in the “back country” up into the Gulf of Mexico. Back at the dock, the captains cleaned the fish and we waded our bounty ashore in time to begin dinner prep. Hot wood fires and the stove, and a combined chow line for the freshest fish you ever tasted. Even non-fish eaters ate heartily. And as we sat back in post-postprandial bliss, watching the sky turn red just before sunset, we all settled in for a nice….hold it. Let’s go, boys. Gear up. Into the water. The day’s not done. Nope – it was time for a little night snorkeling. Into the war canoes we piled, and paddled heartily away from shore. 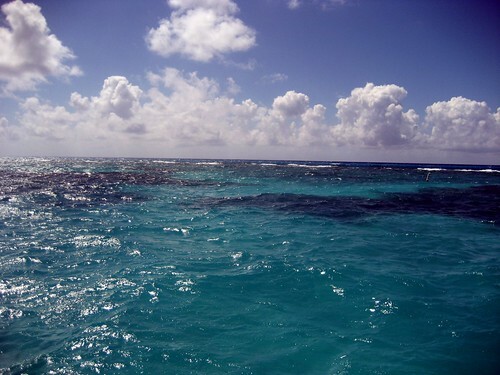 In what can kindly be termed windy conditions and well out past the immediate sight of land, we hurled ourselves into the wine-dark sea clutching underwater flashlights – and immediately began to drift rapidly toward Key West, or quite possibly Mexico. Visibility was something less than the Bronx River after a strong rain. So we struggled to stay in groups, using the buddy system, calling out and helping our mates when we could. 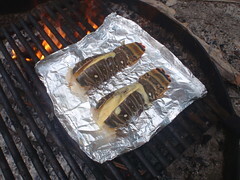 And finally, we pulled ourselves back into the canoes and rowed against the wind and current for Big Munson – having already worked off most of that huge fish dinner, and ready for a night under the stars. 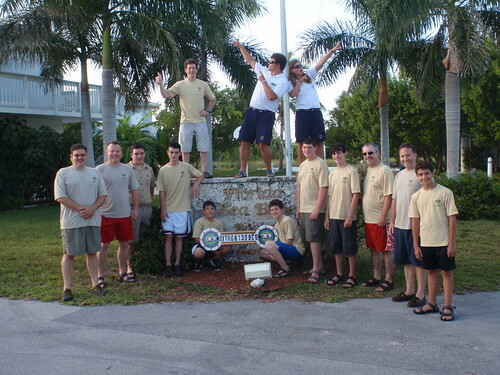 Day two for Troop 353’s intrepid adventures at the BSA’s Florida Sea Base started early, with flag-raising, breakfast and a last equipment inspection. 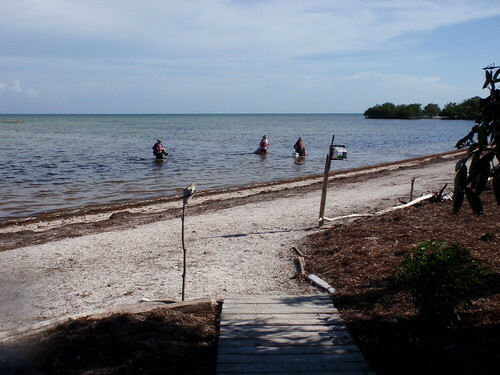 For some of us, it meant that a lot of the stuff we’d carted to Summerland Key would not be making it out to Munson Island. Of the two crews, the one led by Blaine was particularly stringent in the gear department. A couple of t-shirts, a pair of shorts, a bathing suit, sunscreen, sandals, a broad hat, and a water bottle were the basics. No towels, no soap, no rain gear, and no electronics of any kind outside of a camera. I managed to get a small camp pillow, a novel, reading light, a lightweight hammock and my pocket journal into the dry bag before we shoved off. Heather’s crew had a slightly more liberal allowance, but we all packed down into a single mid-sized dry bag each, plus a netted bag for our fins and snorkels. At mid-morning, we set off in the Polynesian-style war canoes – two simple fiberglass hulls tied together with three wooden planks. Each island mate did the steering, while each crew of six provided the muscle – and oh those muscles did ache 5.5 long nautical miles later, with one brief swimming break on a sandbar. After what seemed like hours of paddling in the 90-degree heat, we pulled up on moorings off the shore of Big Munson Island, our home for the next five days. 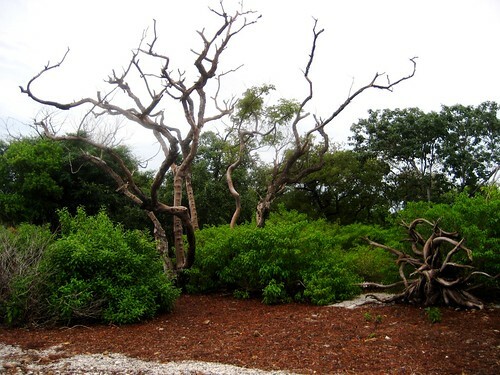 Big Munson has no running water and no electricity – just 100 acres of high hardwood hammock fringed in lush mangroves, beribboned on its south coast with thin strands of sand strewn with rotting sargassum. The crews were charged with getting their personal gear and drinking water for the week, along with a big plastic box of food supplies up on shore – a bit of labor that required wading through waste-high water. 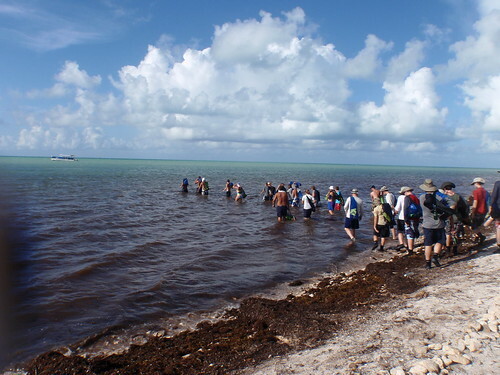 We quickly learned the “Munson shuffle” – dragging your feet (always covered with dive booties) across the sea floor as you walked to, er, alert and discourage the stinging and biting wildlife below. Over the next few days, we got quite used to wading long distances in water that varied from ankle to neck – and to staying wet most of the time. Then we moved into campsites – tents on the ground, a picnic table and canvas rain fly, a fire pit, wooden “sink,” gray-water waste hole, and raised wooden “chuck box” to lock away the food from the varmints. 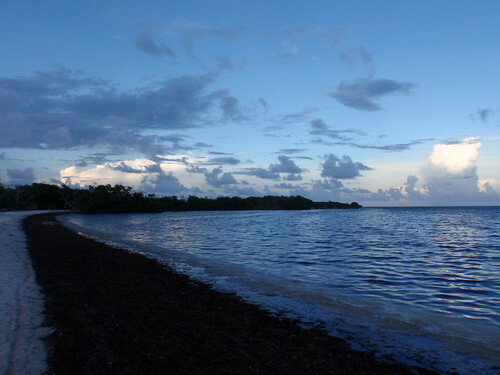 Each campsite was only a few yards from the water’s edge, and the beach faced south into the Straits of Florida only 90 or so miles from Cuba. A quick word about the crews. Blaine’s was led by crew leader Tim D. and included newly-minted Eagle scout Conor M., along with Simon R. and his dad Ben, and Kelsey W. and his dad, Tom. Heather’s crew was captained by Nick O. and included his dad Mike, along with Brad M. and his dad Tom and Matt S. and his dad Ralph, who planned the trip for the troop and did a fantastic job. The rest of day one was spent cooking dinner, getting settled, exploring the surroundings – including some Key Deer spotting – and attending an introductory session (featuring songs and skits!) with the island mates and Munson commissioners. Next: Kayaks and the monsoon. 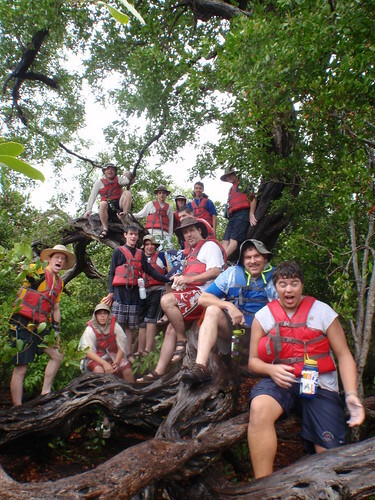 This past August, Troop 353 sent a group of 12 adventurers to the legendary Out Island Adventure at the BSA’s Florida Sea Base in the Florida Keys – an amazing experience that we’ll cover in several posts here on the troop website. 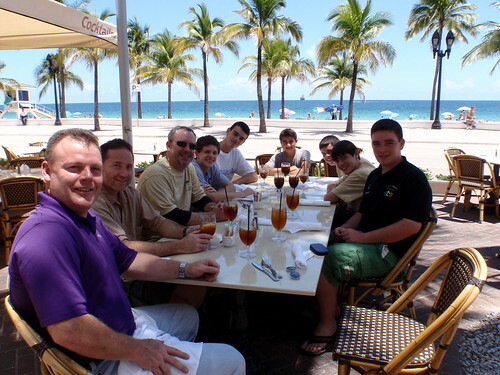 The trip began with a flight to Fort Lauderdale, where we grabbed a great lunch on the beach and checked into the hotel for an overnight stay. 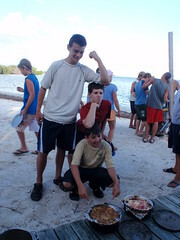 Activities included a swim in the warm Atlantic, dinner on the dock, and some snorkeling practice and training in the hotel pool – oh, and a black-out at the hotel that had the Scouts scrambling for flashlights and generally making the best of things by swimming late into the night. The next morning we crammed all out gear into the rented van and lit out for the Florida Keys, about fours on the road in the good hands of trip planner and expert driver Ralph S., our assistant Scoutmaster. After lunch at an authentic Keys seafood spot, we traveled to the well-equipped Brinton Environmental Center, located on Summerland Key, 23.8 miles north of Key West. 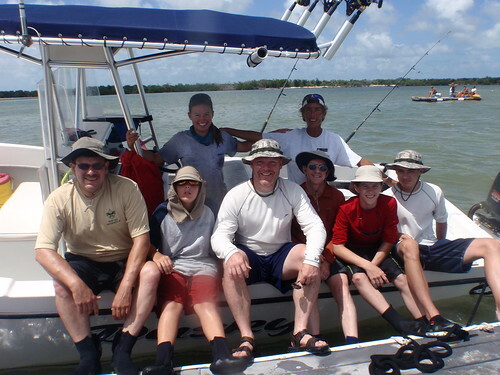 The Brinton Environmental Center is the home for the Out Island Adventures at Sea Base. This beautiful facility opened its doors in 2001 and was named after J. Porter Brinton, the project’s benefactor. We met our two island mates, Heather and Blaine, chose our two crew captains for the week – Nick O. and Tim D. – and checked into our air-conditioned dorm room. 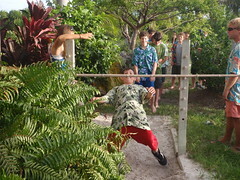 The rest of the day was spent in completing the mandatory swim test and snorkeling shakedown, equipment check-out, dinner and flag ceremony, and an after-dinner skit session put on by the spirited island mates. And it was there we learned all about the “Munson!” cheer and how it must be returned by all who visit that fabled island. 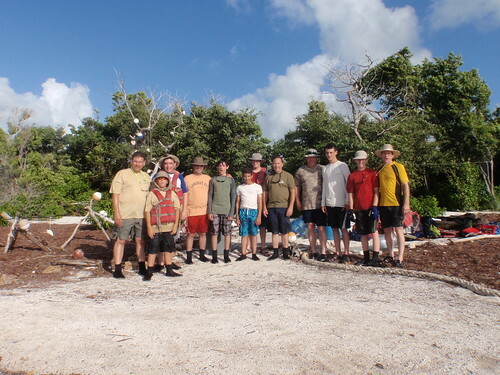 With two groups heading off the wonderful camping adventure – a large contingent to Camp Read in the Adirondacks and a group of 12 to the BSA’s Sea Base in the Florida Keys – some extra fundraising was on the agenda to help pay for all that outdoor fun. 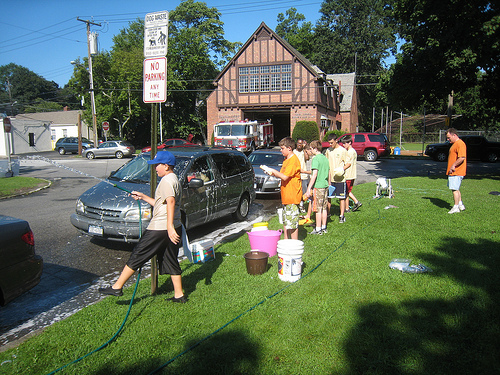 Led by Assistant Scoutmaster Ralph S., more than two dozen Scouts and a bunch of Scout dads set up a car wash in Chester Heights by the firehouse one warm Saturday in July. The Scouts sold tickets for the week before the event, and held up signs on the main road to attract customers – and customers we got! Many cars later (the Scouts worked all day in two shifts), Troop 353 had raised an impressive $3,500-plus and set the stage for some excellent summer adventures. And the car wash also accomplished two other key goals: it exposed hundreds of local residents to the work of the Troop…and everyone had a blast getting soaked. The car wash seems certain to become a regular event on the Troop 353 calendar. 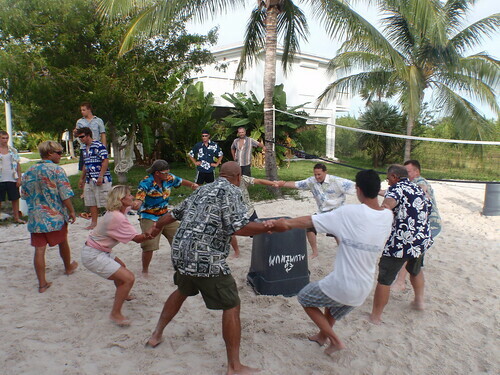 For more great pics, click here.